Like it or not, almost all people have at least small amounts of fat positioned in the stomach regardless of their total body weight. Our stomach represents a place which fat simply love and fat which is most difficult to melt. 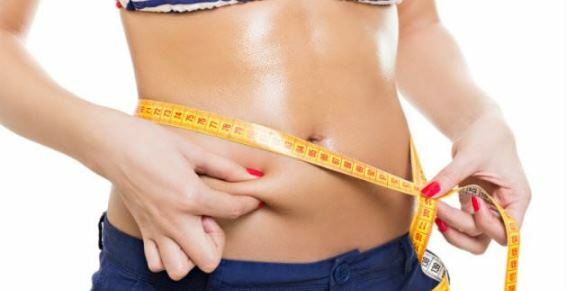 In this article we bring you a brief training program, which consists of some exercises that can be performed at home which do not require any additional equipment and are ideal for melting abdominal fat. NOTE: Warm up and stretch good before performing this exercises. Lay on your back, keeping your soles of your feet together, with knees bent out to sides and put your arms overhead (Butterfly position). Keeping your back on the floor, exhale and bring your hands and knees toward each other and hold that position for few seconds and slowly go back to starting position. This is one rep. Do 3 sets with 10-12 reps.
Lay down in a push-up position with your elbows bent and your forearms resting on the floor. Place your elbows directly underneath your shoulders. Your body should form a perfectly straight line, from your head to your heels. Hold this position for 30 seconds or as much as you can. Lay on your back with your arms toward ceiling. Exhale first and roll toward while lifting one leg up. When you reach your toes, pause for few seconds and slowly roll back and then do the same with opposite leg. This is one rep. Do 3 sets with 10-12 reps. While lying on your back, lift your arms and legs up at same time toward ceiling. Hold the position for few seconds and slowly go back into starting position. Do 3 sets with 10-12 reps.
Lay flat on your back. Place your hands behind your head and perform a crunch while you slowly move your elbow to a knee on opposite leg from your arm. (Same as pedaling on a bicycle). Perform this exercise 3 times for few minutes, or as much as you can with 1 minute break between sets. Keep in mind: Only exercises sometimes are not enough. Physical activity keeps our metabolism active and stimulates the muscles, which burn fat. With proper combination of all three elements, Proper diet, Abs exercises and Cardio or Physical activity you will achieve best results.